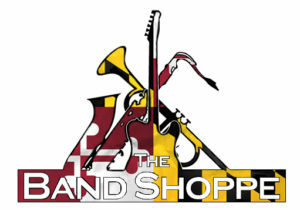 The Band Shoppe now proudly offering rentals, leases and purchases of quality school approved musical instruments! We have instruments available from top brands such as Jupiter, Eastman, BAC, Buffet, Selmer, Vito and many more! With rates as low as $23 per month we have instruments to fit any budget. In addition to competitive rates, our rental agreement also offers the largest early purchase discount around ! At any time during your rental agreementL , you may PURCHASE YOUR INSTRUMENT EARLY AND SAVE 50% off the remaining balance!!! That’s that’s huge savings. Are you ready for a step up or professional instrument but your budget isn’t?!? No problem, we also offer intermediate and professional instruments in our Rent-To-Own program too. But wait it gets better! Not only can you rent or purchase your instruments in store, but you can also shop all of our rental, lease or purchase options online any time. Renting an instrument has never been easier. Just browse, click, rent or buy from your lap top, tablet or mobile device. At the check out you can also pick up all of your books and teacher recommended and required accessories. With stands to reeds, case I.D tags to metronomes, slide grease to cleaning kits our rental portal is your one stop shop for your musical needs. For the latest pricing of our rentals & leases and to see the available inventory click on the link to our rental portal located above or below!